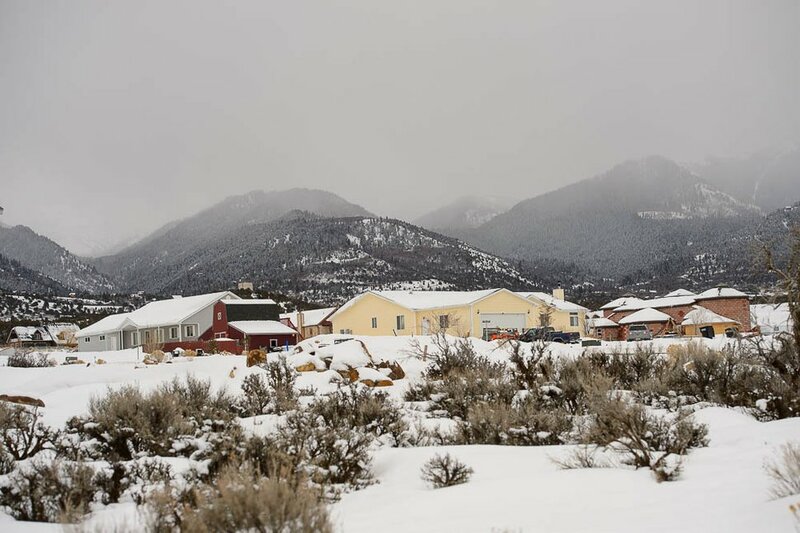 (Trent Nelson | The Salt Lake Tribune) A growing subdivision southeast of Mount Pleasant on Thursday, Feb. 14, 2019. Mount Pleasant • Jesse Raynor needed two more copies of the U.S. Army Ranger Handbook. As quartermaster, he was responsible for making sure the men in his Mount Pleasant unit, which had been dubbed the Priesthood Protection Team, or PPT, were properly outfitted. Raynor had Microsoft Excel spreadsheets showing who had AR-15s, Kevlar helmets and vests, first aid kits and even how cold of a temperature each man’s sleeping bag could withstand. Now, on Nov. 17, 2011, Raynor was trying to ensure the last two guys in the PPT had handbooks. Almost 7½ years later, Raynor contends the PPT was a militia whose purpose was to defend members of the Apostolic United Brethren, also known as the Allred Group. It’s a polygamous sect with enclaves across the American West. Men in the PPT, Raynor and Mangels acknowledge, bought and learned about firearms. They wore camouflage and body armor. They marched through the forest to practice military maneuvers. They learned about emergency medicine. Mangels asked the men not to tell others what they were doing. 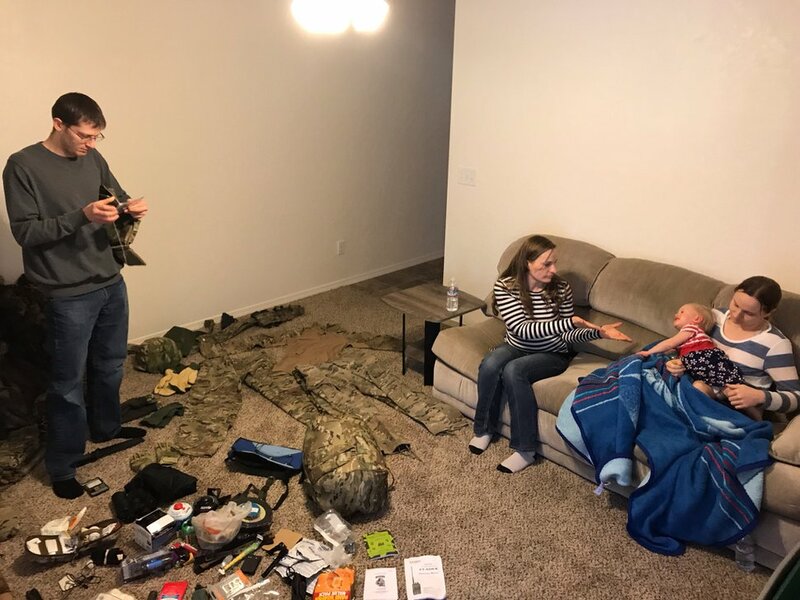 (Nate Carlisle | The Salt Lake Tribune) Jesse Raynor displays the military gear he purchased while his two wives, Amber Raynor (left) and Shelby Thompson, sit in their home near Sandpoint, Idaho, on Jan. 12, 2019. Shelby's 18-month-old daughter, Nikita, is crawling on her mother's lap. The family once worshipped in the Utah-based Apostolic United Brethren, where Jesse Raynor says he was recruited in 2011 into what he describes as a militia. Raynor and his two wives left the AUB community in Mount Pleasant in 2017, an event captured on the reality television show “Escaping Polygamy.” The episode’s climax features Raynor warning the show’s stars that he was part of a secret militia and that a member of that armed group might be shining a rifle laser site at the home they were trying to pack up and flee. Yet Mangels, in a recent interview, contends the AUB wasn’t trying to create a militia, nor does he want that word to describe the PPT. The focus, he said, was on preparedness. The Salt Lake Tribune sought comment from men Raynor said trained with him. They declined to comment or denied there was a militia. Tony Jenson, son of the late AUB President LaMoine Jenson, said he went to a few trainings with Mangels and other men but only because he had an interest in weapons and the outdoors. He said Mangels once taught him a better way to shoot pistols. 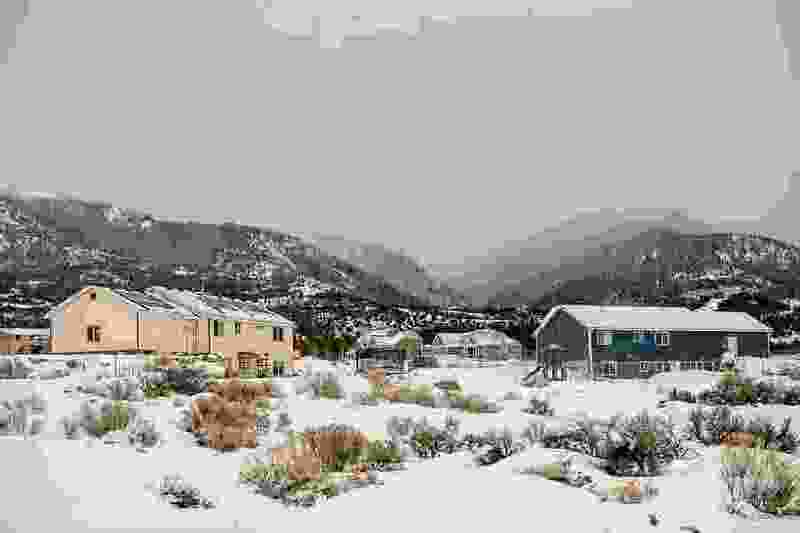 Whatever was created in central Utah in 2011 might have been ignored if not for more-recent events in the AUB. Current AUB President Lynn Thompson has been accused of embezzling church funds and molesting relatives years before he ascended to the top post, creating fractures within the sect. A blog articulating the dissidents’ views, “Turmoil Within the AUB,” recently had posts and reader comments expressing concerns about guards posted around AUB meetings in Pinesdale, Mont., and security exercises such as the searching of rooms in the meetinghouse to ensure there were no threats there. Dissidents see these measures as signs Thompson and his supporters view the dissenters as threats. Rumors about a PPT militia, which has not been publicly discussed by insiders until now, have heightened those worries. When AUB members in Mount Pleasant started to describe the force as a militia in 2013, then-AUB President LaMoine Jenson shut down the group. “We got more military than we wanted to,” Kunz said. Just how large the military-type version of the PPT grew to be remains in question. Raynor said there were units not just in Mount Pleasant but also in the AUB community of Rocky Ridge — near the spot where Interstate 15 meets the line between Juab and Utah counties — as well as in Eagle Mountain and Lehi in Utah County and in southern Salt Lake County. Mangels answered many questions about the PPT but declined to discuss how many units he trained. Polygamy is just one AUB belief. Rulon C. Allred formed the sect in the 1950s to continue what he believed to be the fundamental teachings of Mormon founder Joseph Smith, who commanded a militia in Illinois called the Nauvoo Legion. The AUB practices other teachings that the mainstream Church of Jesus Christ of Latter-day Saints has abandoned, including a sharing of assets and a belief that Adam from the biblical Garden of Eden is also God. The AUB was the victim in one of the most-violent episodes of so-called Mormon fundamentalism. In 1977, Ervil LeBaron, who had started a polygamous church of his own, ordered the assassination of rival polygamous leaders. Two women walked into Allred’s chiropractor clinic in Murray and shot him dead. Raynor provided The Tribune with emails, spreadsheets and other documents outlining his time in the Mount Pleasant PPT. He also provided a photograph of the patch Mangels created. The patch sports an orange Star of David in the center and 12 small white stars on the edges. Latin words appear on the patch, too. 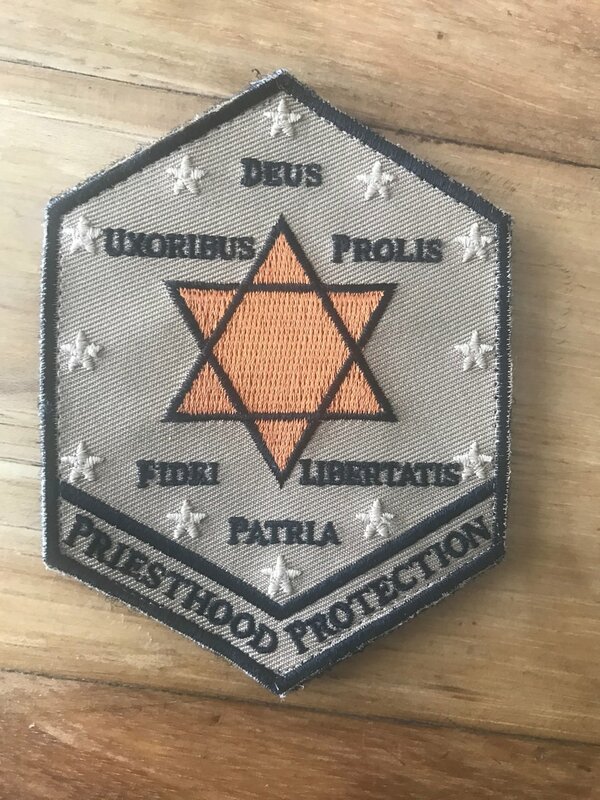 (Courtesy Jesse Raynor) This patch was meant to symbolize membership in the Priesthood Protection Team, a group of men belonging to the Apostolic United Brethren. Mangels, who lives in the AUB community of Rocky Ridge, had an extended and varied career in the U.S. military. According to a service record The Tribune obtained through the Freedom of Information Act, he enlisted in the U.S. Army via a Salt Lake City recruiting station in August 1986. He was on active duty for eight years. In November 1994, he transferred into the Utah National Guard’s 19th Special Forces Group. Mangels left the military in August 1997. He re-enlisted in the 19th Special Forces Group in 2003, Mangels said, because he felt compelled to return to the military after 9/11. Mangels remained with the Guard until April 2011, a National Guard spokesman confirmed, rising to sergeant first class before receiving an honorable discharge. An online profile from the Utah Gun Exchange promoting Mangels’ survival-supply business, Next Step Tactical, said he served multiple deployments in the U.S. global war on terror with the military and as a private contractor. The business later was renamed NextStep-Prep. Mangels said he started his business as he was nearing his final discharge in 2011. Besides selling books about preparedness and supplies like water-filtration systems, food storage and gun accessories, he taught seminars aimed at helping people survive cataclysmic events like natural disasters and economic collapses. He said he spoke to community groups, churches and other customers across Utah and Wyoming. Some AUB members wanted him to speak to them, too, Mangels said. One of those was Kunz, then the bishop in Mount Pleasant. 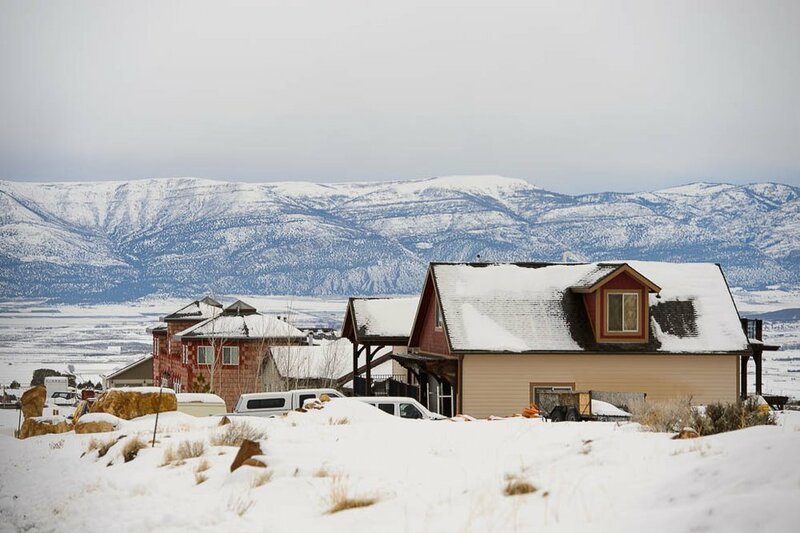 (Trent Nelson | The Salt Lake Tribune) A growing subdivision southeast of Mount Pleasant on Thursday Feb. 14, 2019. The AUB subdivision is south of Mount Pleasant, in unincorporated Sanpete County, where more than 80 percent of residents are mainstream Latter-day Saints. The subdivision was still being developed in 2011, and Kunz said the residents who already lived there and the local governments were hostile toward the new community. While there were no specific threats of violence, Kunz said, AUB leaders included in the Mount Pleasant community’s emergency planning the possibility of an attack by terrorists or an armed mob. Raynor said he was asked during a Sunday meeting in August 2011 whether he wanted to be part of a special group within the AUB. “I really wanted to be part of God’s kingdom,” Raynor said in a recent interview. 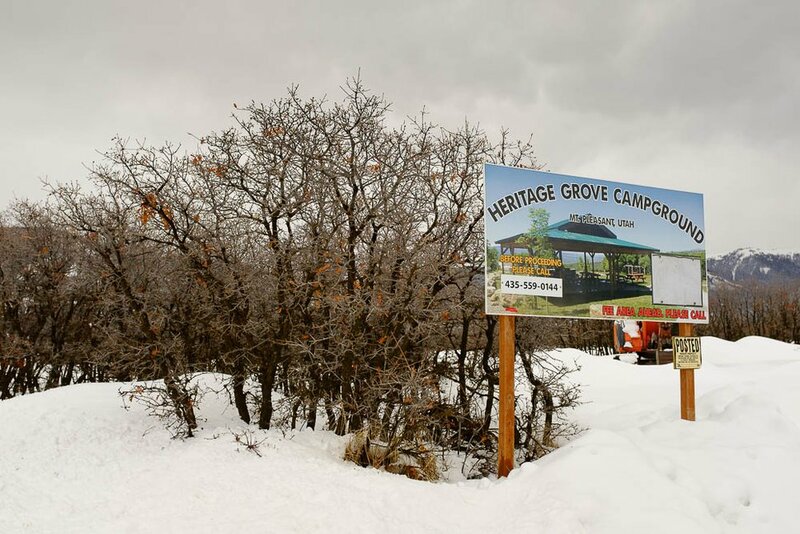 (Trent Nelson | The Salt Lake Tribune) Heritage Grove Campground, southeast of Mount Pleasant on Thursday Feb. 14, 2019. Raynor said he and the dozen or so other men who entered the Mount Pleasant PPT with him were recruited because they were physically fit, hunters or gun enthusiasts and devout AUB members. At 25, Raynor was first counselor in the elders quorum in the AUB community in Mount Pleasant. While still in the PPT, Raynor became president of the elders quorum, a position that put him in charge of the congregation’s men. Raynor, who has worked in accounting, was made the quartermaster of that PPT squad. • Provide security for the AUB’s top men and the wider church community. Raynor said he drove his SUV on patrols outside AUB dances, for example, with a holstered pistol. • Act as a militia. If hostile forces — whether the U.S. government, foreign invaders, angry mobs or whoever — came to AUB communities, Raynor explained, the plan was to move as many followers as possible to Heritage Grove Campground. It’s a commercial camp within walking distance of the Mount Pleasant AUB community. The campground has a pond and is operated by an AUB-controlled, for-profit real estate company. Shepherding AUB members living around Mount Pleasant to the campground would be easy, Raynor said, but how to move followers from elsewhere in Utah became a point of much discussion. Insiders worried that highways and freeways wouldn’t be an option. So the PPT squads in Mount Pleasant and Rocky Ridge — a 48-mile drive apart — staged joint exercises hiking over the San Pitch Mountains, he added, trying to find the best path to march members to the safe zone. Kunz confirmed the discussions about moving people from other AUB communities to the campground if an emergency broke out and the homes in the Mount Pleasant community ran out of space. They abandoned the idea of trooping over the mountains, he said, because it would be too strenuous for many AUB followers. The PPT also considered a scenario in which it might have to close a road. To block or divert an enemy, Raynor said, insiders talked of detonating explosives to cause a landslide in the canyon where State Road 132 runs. That thoroughfare connects Mount Pleasant to Interstate 15. Raynor isn’t aware of explosives ever actually being assembled or detonated. Mangels said he never heard any talk of explosives, but he did not attend many meetings in Mount Pleasant. 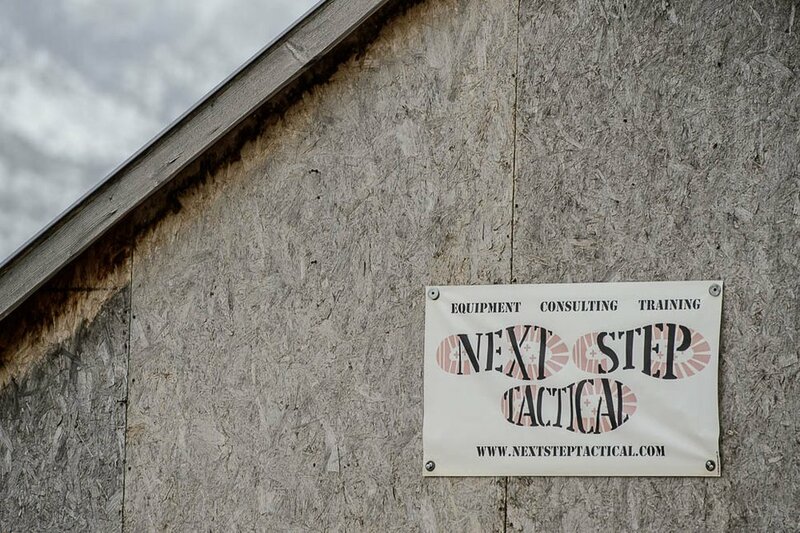 (Trent Nelson | The Salt Lake Tribune) An advertisement for Next Step Tactical on an building in Rocky Ridge on Thursday, Feb. 14, 2019. The Mount Pleasant PPT held meetings, usually in someone’s garage, one night a week, Raynor said. Exercises typically took place somewhere outdoors one Saturday a month. Emails and spreadsheets provided by Raynor show the squad’s first few months focused on equipping and training the dozen or so men. One email from Mangels instructed the recruits to arrive at a field in Sanpete County on the last Thursday of September 2011 to learn how to navigate with a compass. The exercise stretched through the night so the squad could learn to get around in the dark, too. Early Friday, according to the itinerary Mangels emailed, the squad members woke and were put through an exercise teaching them military maneuvers and strategies. The instructions told everyone to bring a paintball or airsoft gun. Emails also discuss how some PPT members traveled to the Front Sight Firearms Training Institute in Pahrump, Nev., to become proficient with pistols and rifles. Raynor said PPT members were encouraged to apply for a Nevada concealed carry weapons permit while at Front Sight, or to apply for one in Utah. A November 2011 email between Raynor and Mangels mentioned buying copies of the U.S. Army Ranger Handbook. Squad members were told to buy a specific type of camouflage fatigues similar to the light green patterns worn by the U.S. Army and Air Force. Weapons were supposed to be uniform, too — AR-15s, Smith & Wesson 9 mm pistols and a particular steel blade knife carried in a sheath. PPT members also had to buy standard nonlethal equipment — from first aid kits to flashlights to sleeping bags. One email shows that PPT member referred to the group as “the knitting club” before pointing the recipients toward some pistols for sale. These monikers would help ensure secrecy, Raynor said. Those privy to the PPT worried about what other AUB members would think of the militia, Raynor said. They also feared what the public would think. Mangels acknowledges asking the men to not tell others about the PPT, in part because he feared that if people knew who was stockpiling food and supplies, the prepared folks could become targets. Mangels said he also was afraid of unsavory characters joining the PPT. “You don't really want some of the loose cannons to ever join you,” he said. While rank-and-file AUB members didn’t know about the PPT in Mount Pleasant, they nonetheless witnessed some of the operations — even if they didn’t know it. In summer 2012, Kunz explained, squad members constructed a wire fence at the campground to keep deer from an orchard where the AUB planned to grow food to feed its community in the event of a long-term emergency. The work itself helped finance the PPT, Raynor and Kunz said. The AUB-controlled real estate business paid PPT members with the understanding the money would be used to buy guns, ammo or other gear. Amber Raynor, Jesse’s first wife, said she thought her husband was just busy with his elders quorum duties all those nights and weekends he was gone. She got upset thinking that AUB leaders were assigning him too much work. As for the guns and military gear her husband bought, she dismissed it as a hobby. Then her husband came home with ceramic plates to insert into his body armor. The plates provide protection against rifle bullets. Shelby Raynor, Jesse’s second wife, said she thought AUB men were devising plans for surviving the last days, though she didn’t know anything about the PPT. “I thought it was crazy,” she said. Jesse Raynor estimates he spent $8,000 to $10,000 on guns, ammo and equipment. Spreadsheets and purchase orders from his time as quartermaster reveal PPT members made many purchases from Mangels’ preparedness business. Mangels said he sometimes charged a 10 percent markup on the goods purchased through him, but he insisted that the PPT was not a moneymaker for him. He did not charge the AUB men for his time — as he had with other groups — and only asked for gas reimbursements when he drove from his home in Rocky Ridge. Mangels said he received a phone call one day from LaMoine Jenson, the then-AUB president. Jenson asked if anyone could view the PPT as a militia. Jenson, Mangels said, then asked him to stop training the PPT. About that time, relations with the other Sanpete County communities improved, Kunz said, and officials decided the Mount Pleasant AUB community didn’t need such a security force. "Things aren't near as volatile as when we first arrived,” Kunz said. Even so, AUB members in Mount Pleasant still have emergency plans in place for natural disasters, terrorism or economic collapse, Kunz said. Some of that planning came in handy during a recent mumps outbreak. A lot of his fellow AUB members don’t believe in immunizations, Kunz said. So church meetings were canceled for much of January and the infected were asked to quarantine themselves. Raynor’s last email concerning the PPT is dated April 2013 and discusses a mixed martial arts workout. He said he stopped participating in the squad because of a conversation he had one day that would also become a factor in him leaving the AUB. Raynor said some of the PPT men were discussing the non-AUB refugees they might also protect. Some seemed inclined to only accept doctors and others with special skills. Raynor wondered about women and children. Raynor was starting to question his faith anyway. He read websites that contradicted what he knew of Joseph Smith or added new dimensions to the Mormon founder’s story. Raynor also decided the AUB was too controlling of women and children. When his oldest son turned 8, the age for baptism, Raynor decided he didn’t want the boy or the rest of his family to become part of the AUB. Kunz and Mangels both said there was no need for the Raynors to leave in a hurry in the middle of the night — as they did in “Escaping Polygamy.” Any family is free to go. Kunz and Mangels deny anyone would have pointed a laser sight at the Raynors. Mangels said he has been told the red beam was a child with a flashlight. The Raynors now live in the Idaho Panhandle. Raynor said he sold the guns he owned, but still has the other gear from his PPT days.